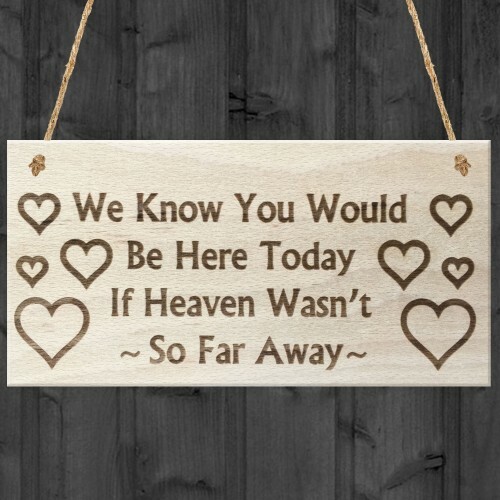 Sure to be a talking point whenever you have friends over or at work. 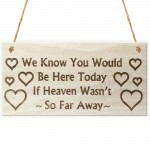 Give this gift with love and put a smile on someones face every time they read it. Don't miss out and get yours today! 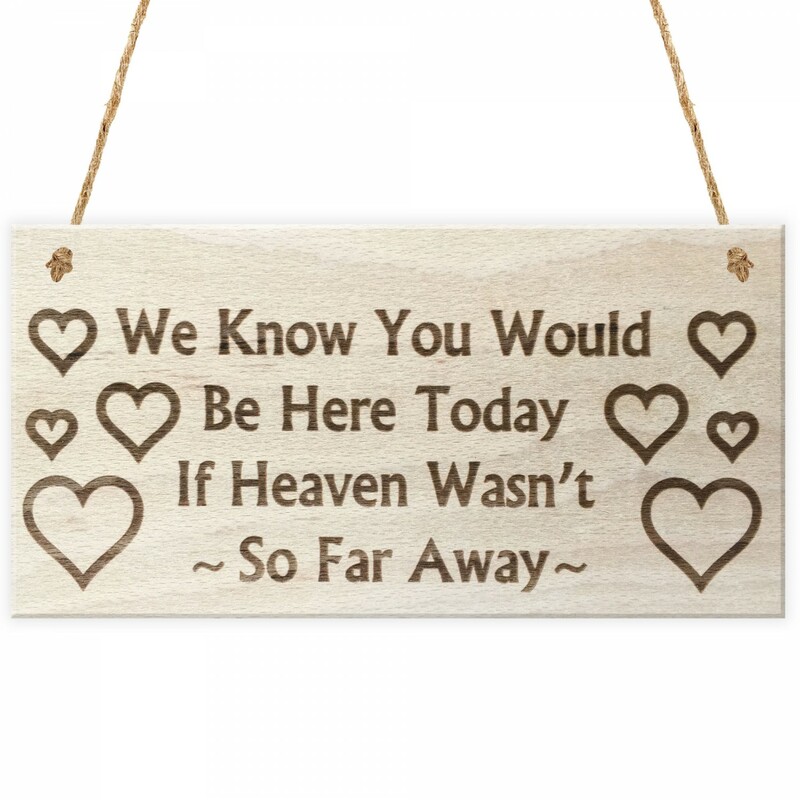 This plaque is engraved with the words "We Know You Would Be Here Today, If Heaven Wasn't So Far Away". 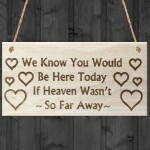 The plaque is made from FSC Certified wood, and the design is permanently engraved into the wood. The wooden sign plaque is supplied with rustic twine rope to allow easy hanging and looks great in any room of the house.